Our home is in the middle of the King's Cross development area, a construction site of 67 acres. 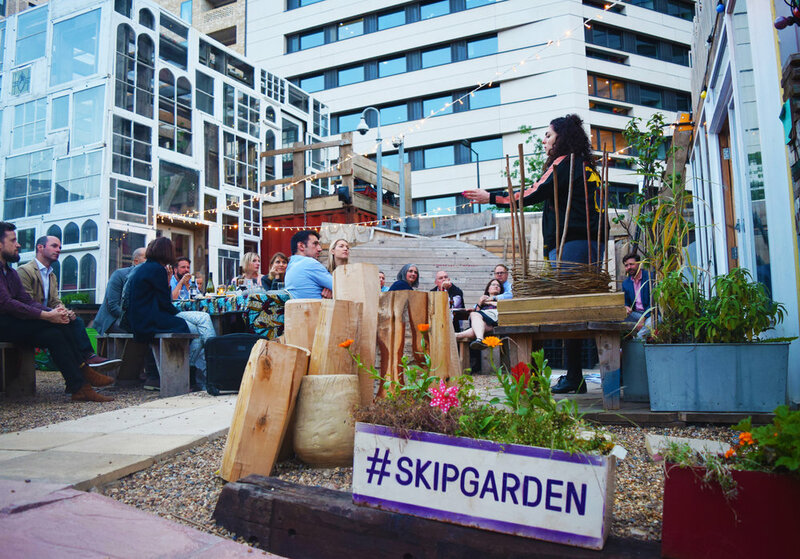 Among the cranes and the cement mixers, the apartment buildings and the office blocks, our Skip Garden is an urban oasis with a twist - a portable garden that moves to different locations on the King's Cross site as and when land is sold and built on. It is a garden of a thousand hands, built by young people and local business volunteers, together creating a new and sustainable community. 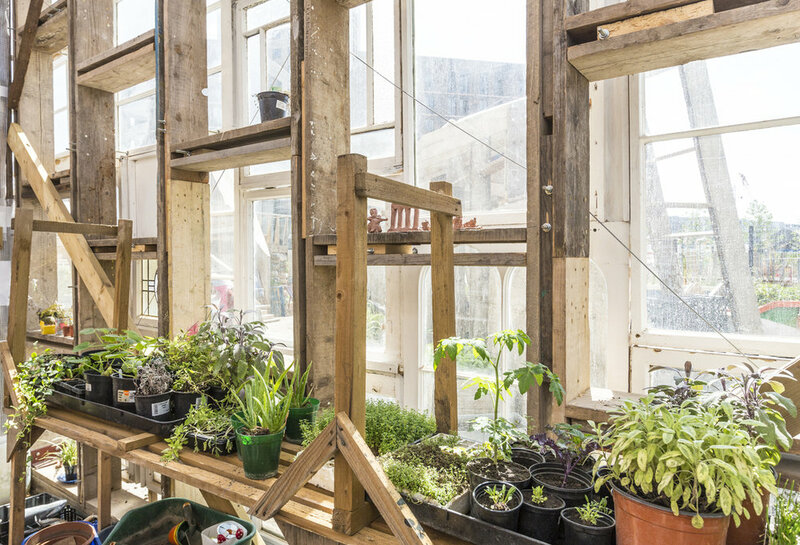 It is a unique space where apple trees, pumpkins and beans grow out of skips, and tomatoes, ginger and chillies grow under polytunnels made with water pipes and polythene. 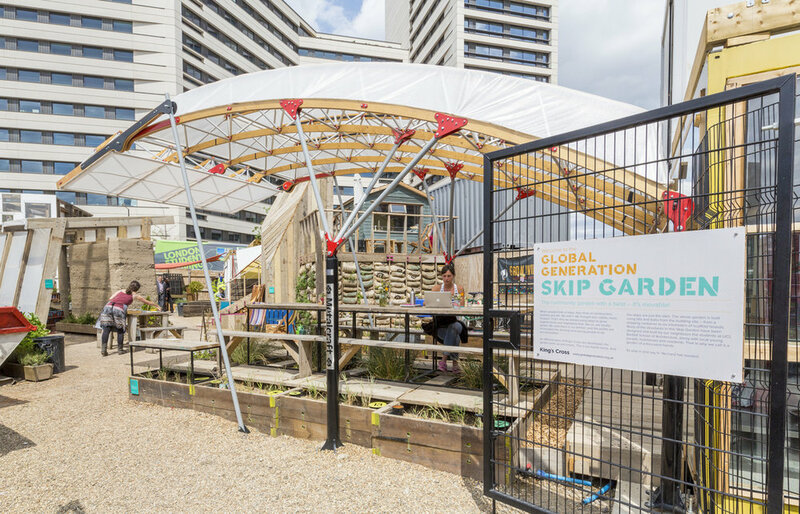 All of the food we grow is used in our Skip Garden Kitchen. We also work with local businesses, restaurants, community groups and schools to help them create their own unique growing spaces. See here for planters and rooftops we've created and maintain.